HopeWorks provides an evidence-based curriculum to Hope’s Door transitional housing and emergency shelter clients with the goal of empowering survivors of domestic violence in securing independent, violence-free lifestyles through vocational readiness. JLCC Volunteers deliver the curriculum and create a comfortable, encouraging training atmosphere. My Friend’s House, a program of City House, is a 24-bed emergency shelter for children who have been removed from their homes due to allegations of abuse or neglect. The children range in age from birth through seventeen years. JLCC volunteers provide a weekly reading program that encourages literacy while offering a fun evening developed around the theme of a carefully selected children’s book. Trained JLCC volunteers assist in teaching adult and children’s literacy classes, provide one-on-one tutoring, curriculum development, and facilitation of group sessions. 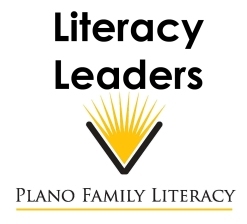 In partnership with Plano Family Literacy, this program offers adult education, early childhood education, and parenting education to speakers of a language other than English, as well as basic literacy skills. CA.R.E.S. supports the holistic approach that the Center for Pediatric Eating Disorders at Children’s Medical Center Plano utilizes in its treatment plan. JLCC Volunteers facilitate arts and crafts sessions twice a month for the patients. Children and adolescents with eating disorders are often socially isolated, and the purpose of this program is to offer a safe and nurturing environment for these patients to learn or reestablish their social skills. JLCC volunteers work in conjunction with the Juvenile Probation Department of Collin County to serve as mentors and conduct training sessions in a classroom environment for juveniles age 12-15 that have been placed on probation for non-violent, misdemeanor offenses. The goal of JuMP is to implement a positive setting for Collin County juveniles and present curriculum on topics such as self-esteem building, internet messaging, healthy relationships, making good choices, and life skills training. This project aims to reduce the likelihood for re-offending and provide the juveniles with the tools and resources necessary to reduce recidivism. 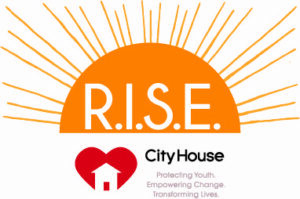 The CITY House Life Skills project is a collaboration with City House who strives to improve lives of transitional living program young adults in Collin County by providing a life skills evidence‐based curriculum to City House clients. These young adults (age 18‐22) have been involved in the foster care system and have aged out of the system. The goal is to empower City House clients with life skills training to enable their success upon leaving the program. Non-profi t organizations in Collin County consistently require assistance from trained and enthusiastic volunteers. Done in a Day orders this much-needed volunteer support for community projects that can be accomplished in an evening or over a weekend. Organizations request and receive a variety of hands-on support (excluding telemarketing, soliciting, fundraising or enabling fundraising). Through this program, JLCC makes an impact across a wide range of nonprofit missions and populations.